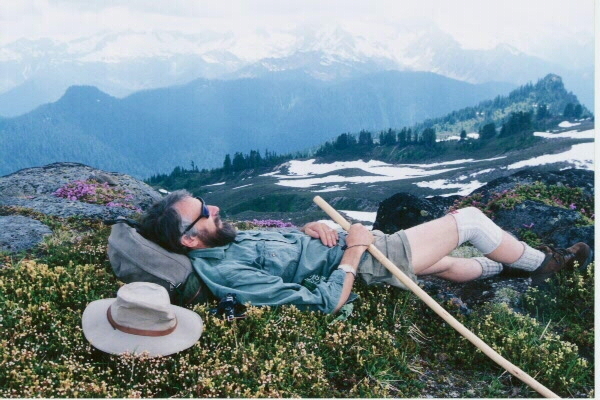 On my back I lay in a high mountain meadow blooming with wildflowers. The sky above is filled with huge-puffy cumulus clouds resembling giant pillows. And in between those pillows, rays of the sun shine through finding me...warming. In the wind, I swear that I can hear music resembling flutes and drums being manifested by that of Native Americans from long ago. And as I lay here pondering the world, the sun shines me . . .